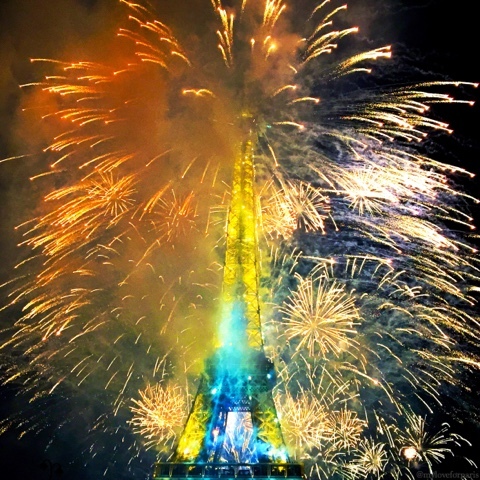 Every year on the 14th of July, Paris celebrates its biggest event on the French calendar - its national day "la fête nationale" commonly referred to as "le quatorze juillet" by Frenchies and "Bastille Day" by English speaking countries around the world. The storming of the Bastille Prison on the 14th of July 1789, marking the beginning of the French Revolution and the end of feudalism. On this day, after long periods of unrest the people of Paris stormed this fortress prison and with the help of the sympathetic French Guards (who normally protect public buildings), ended the reign of Louis XVI. The capture of this prison was a symbol of the fight against the oppression of the people as well as the end of absolute rule by the king. 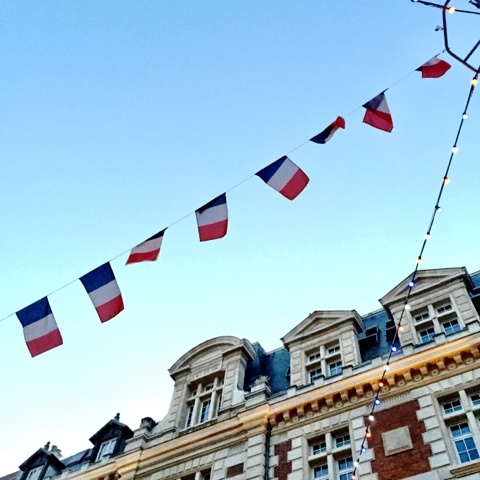 What followed was the birth of the Republic and the establishment of its three key values: Liberté, Egalité and Fraternité (Liberty, Equality and Fraternity) for all French citizens. Commemorating one year since the French revolution on the 14th of July 1790, this day was used as a celebration of unity, and a symbol of peace. This parade on the Champs Elysées has been going on since 1880 and has only stopped a couple of times (because of the wars). You'll see the French Air Force in the skies with their Alpha Jets and the red, blue and white displays in the sky as well as the Grand Military Parade on the ground. There'll be around 4000 soldiers, police officers, fire fighters and cadets taking part in what is Europe's oldest and largest parade. Normally goes from 10:10-11:55am in the morning but get there early to secure your spot as there are always loads of crowds. A definite TO DO in Paris, whether you are a resident local or a visiting tourist. I had so much fun last year (even though Frenchie started to get annoyed at the crowds - I, on the other hand had quite easily slipped back into OMG-I'm-an-excited-tourist-(even though I've been here for 4 years)-in-Paris mode). 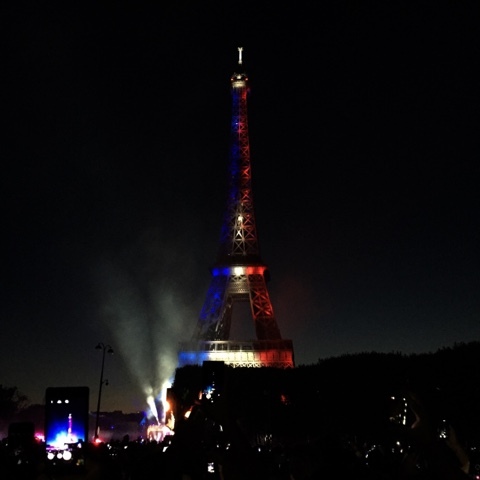 Literally hundreds of thousands of people congregate at the Champs de Mars to catch the music event and incredible fireworks display. People start reserving their spots early on in the day, laying down their picnic rugs way before the sun goes down. The trick is to come early enough to get a good spot but not too early to avoid unnecessary toilet finding expeditions where you are forced to leave your spot and risk having late-comers invade your reserved patch of grass. Bring a picnic rug, some nibbles and drinks and have a little dinner picnic beforehand! 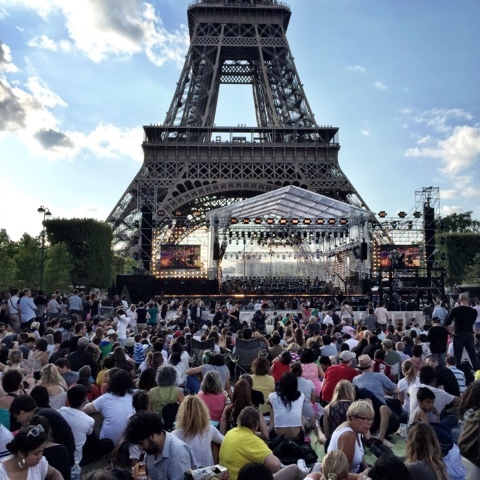 As the sun starts to set, there was the live French National Orchestra playing last year, as well known French singers all contributing to a massive (free) live concert. Then the Eiffel Tower started to light up to the beat of the music - eeeee! As it became darker and darker, more and more late-comers started to arrive, clamouring their way into the crowd and edging in between early-comers. Be careful of arguments that might arise as some late-comers who can't get a seat on the grass actually have the nerve to just stop there and stand up, blocking the view of all the people who actually came early to reserve a spot on the grass. You'll hear people asking them to leave/sit down and their response will determine whether or not the request will escalate into an argument. Anyway, like I mentioned earlier, none of this really annoyed me last year because I was so excited and engrossed in the spectacular fireworks display. Frenchie on the other hand wasn't too keen on being dragged out to Champs de Mars with the crowds but too late, he couldn't exactly leave me there either. Haha, sucked in. But honestly, it was the most incredible fireworks display I had ever seen in my life. It normally officially goes on between 11-11:35pm and there is always a special theme but the the different displays are all magical to watch. This year's theme is "Paris welcomes the world". Old classic French music, modern ballads, orchestral pieces, movie soundtrack pieces, music from all around the world etc are meticulously paired with fireworks being shot into the sky sprinkling down to Paris in tiny millions of little pieces of glittery magic with each burst of music. My Love for Paris tip: Make sure you clear enough room off your smartphone so you can take a thousand pictures and also a hundred or so videos. Another My Love for paris tip: Brace yourself for the exit - you'll find yourself in a sea of people all simultaneously trying to leave Champs de Mars at the same time. Take your time, slow down and don't even bother trying to "get out of there really fast" - nobody actually ever does so just go with the flow. 3. Les Bals de Pompiers - "The Firemen's Balls"
So anyway, what is the Firemen's Ball exactly? 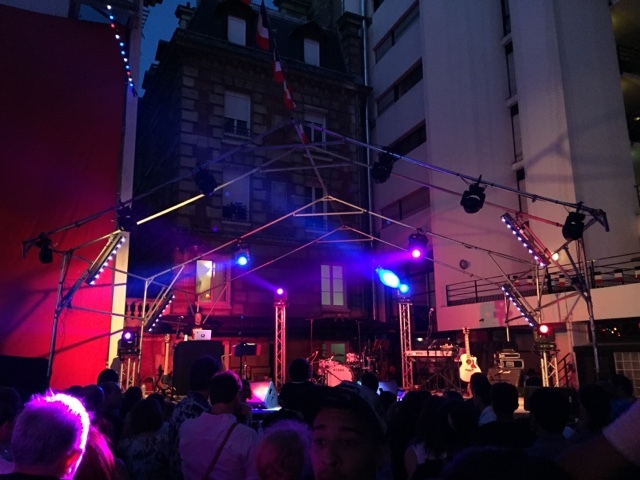 It's a community event held every year on at least the 13th of July, if not the 14th of July as well, in most arrondissements in Paris (obviously not all fire stations participate because they need to still you know be on duty in case there is a fire or something). 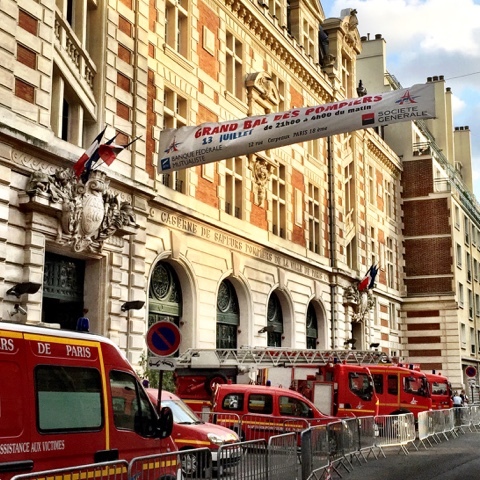 Every year, local fire stations (les casernes) in the Paris open their doors and locals stream in to participate in one of the coolest Parisian events. It's not meant to be chic or uptight or anything. Instead it's meant to be a massive local community fun outdoor block party in a FIRE STATION that goes until 4am in the morning with champagne, beer, soft drinks (at super reasonable prices), nibbles, live bands, dancing, singing, and of course - lots and lots of firemen in uniform (and firewomen as well!). 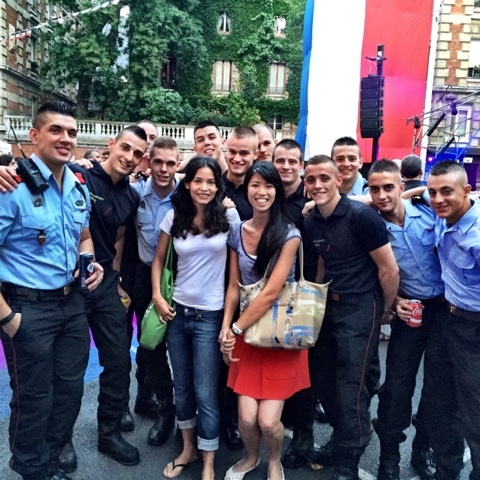 The fire fighters of Paris will be serving drinks, taking photos with random people, dancing and joining in with the crowds as everyone lets their hair down. Doors open at 9pm and you'll see people hovering around fire stations like it's a Pokemon Go gym but instead of looking down at their phones to battle their Pokemon, they're looking down at their phones texting "where are you? I'm in front". Entry is technically for free but you might be asked to give a small donation (whatever you wish) into a barrel on your way in as a contribution. Lines start getting REALLY long around midnight so make sure you come earlier (but not too early because there won't be that many people in the fire station at 9pm). Same goes for the toilets as well throughout the night, so just keep that in mind! 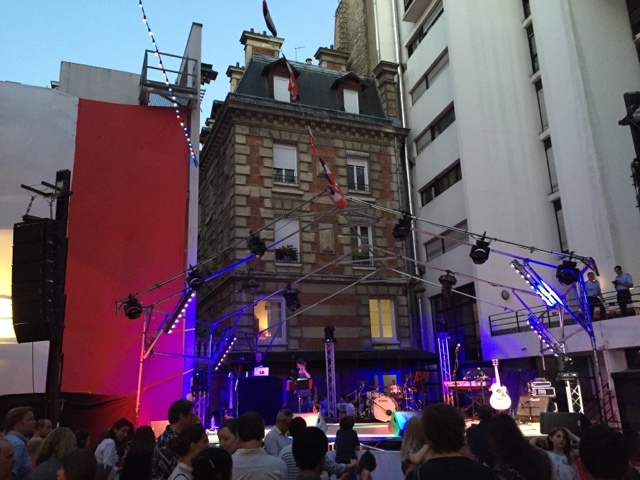 Different arrondissements have different themes with different music. Some are very much neighbourhood orientated, some are more family-friendly, others attract a younger crowd and others have a more drunken outdoor party feel as the night wears on. Here's a list of all the "casernes" i.e. fire stations you can visit this year starting from Wednesday night 13th. By the way, all participating fire stations are open on the 13th as it makes better sense to go to the ones on the 13th because then you can go home at 4am and sleep in on the public holiday on the 14th but then that means you'll miss the parades. Having said that if you go on the 14th after the fireworks you'll have that buzz of everyone having already being out and going onto the after party until 4am IN A FIRE STATION! Just make sure you've checked which fire stations are open on the 14th and also keep in mind if you'll be fit to get to work the morning of the 15th haha.